I struggled with photographing the pond from the north this week, because the sun was reflected directly back at me from the water, and on automatic settings, the picture was far too dark. So I tried some manual settings, but I’m not that expert, and that green dot kept appearing. There has to be some interesting physics to explain it, but I’m not going to try going into that now. Walking round I had to be careful, since the level of the pond has risen markedly, covering most of the path in both directions from the entrance. In addition, I was carrying a bow saw, with which to remove the rotten ivy covered tree which had fallen across the path by the dipping platform. In fact, I’d have done better to take some loppers to cut through the ivy, since a well directed kick would probably been enough for the actual tree. 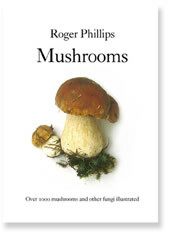 I took the trouble to smell it – and it smelled just like the familiar edible mushroom. I also noticed that, as well as some ivy near the paths having been stripped of their leaves, the same had happened to some brambles – and not just their leaved. In other words, I suspect someone has been round trying out a brush cutter. Oh well.